Learned to ice skate in June of 2016 at age 33, and played my first season of hockey with the MGHA 2016-2017 season! I loved playing so much I joined the 2016/2017 Madison T-Recs, I played in a Friday night scrimmage group, and a weekly summer scrimmage group. Basically, I play hockey as often as I can! 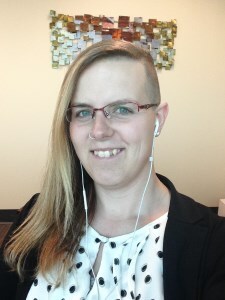 I'm openly queer and openly transgender and I've found an incredible support network, and family, in the MGHA. When I'm not on the ice I love to run, kayak, hike, fly-fish, and enjoy the symphony orchestra.